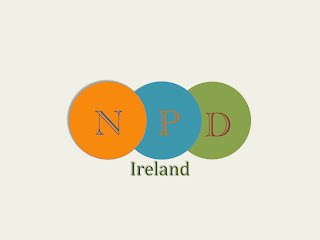 NPD Ireland originated after three Irish UCD MLIS students attended the CILIP New Professionals Day in London in May 2012. As a group we were so inspired by not only the presentations and workshops that we attended, but by our colleagues both within and outside the profession that we met. So on the journey back to Stanstead, we devised a rough plan of our inaugural day that we wished to put on here in Ireland. A small group of like-minded former classmates met regularly brainstorming ideas and coming up with a mission statement, a logo and a rough plan. This then evolved into setting up a Twitter account, Facebook page and a blog as well as producing some business cards with our logo and all our contact details included. We had devised the day, so next we set about finalising the venue and the catering. As we are a small team but with big ideas, we decided to maintain the first event on a smaller scale than we had initially envisaged. We required a free venue as we had decided to be self-financing and unaffiliated. After conducting some research we booked Pearse Street Library - this would provide us with one large conference room space and a break out area for refreshments and networking opportunities. Whilst we had initially devised quite a complex and diverse day with multiple workshops and presentations akin to the NPD at CILIP, we then had to scale back our programme to suit our venue. It also afforded us the opportunity to trial whether this type of event would be welcomed in Ireland. Next we set about fine tuning what aspects of the Information Profession we thought would most appeal to our intended audience. We are all fans of Twitter and the information it affords us professionally, however, we are aware that Irish librarians/info pros are not as engaged with it as they possibly should. Who better to address the needs of the Twitter-novices than Michelle Dalton - Irish Twitter advocate; co-founder of Libfocus.com as well as co-operator of #irelibchat. 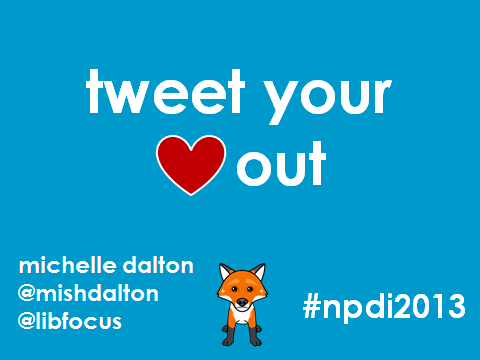 We decided to call this session and workshop 'Tweet your heart out'. Next on the agenda came IT/Web skills, we all have a keen interest in web and technological developments that can assist us in our roles and careers. However, not all info pros - even the younger members of the community can experience tech-phobia - are as au fait with the newer aspects of technology that can assist and enhance our own and our patrons use. We decided to name the next session 'Getting ahead in the cloud'. 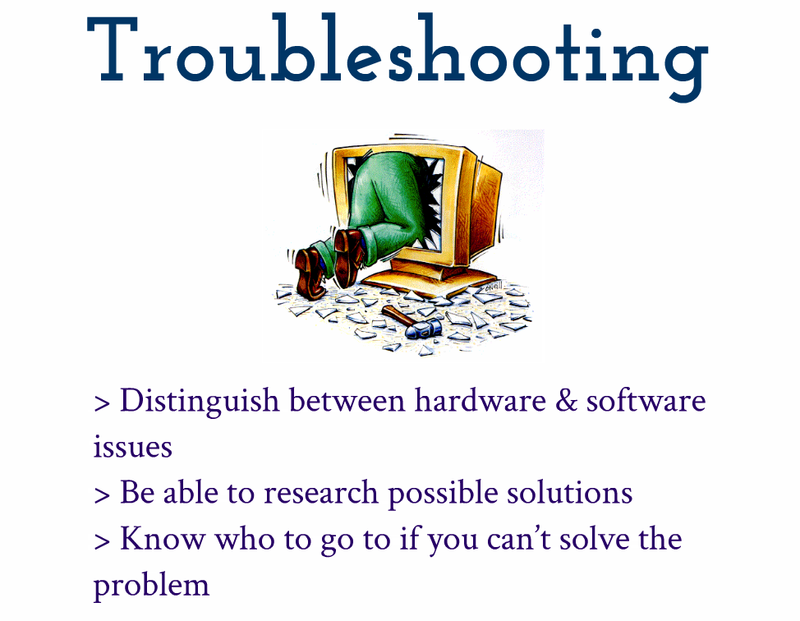 Whilst we thought we could manage to conduct this session ourselves having a wide experience of various OS platforms and software between us, we wanted this session to have the authority of a practising professional. David Hughes Systems Librarian at Dublin Business School came on board and provided us with a brilliant interpretation of our initial idea. 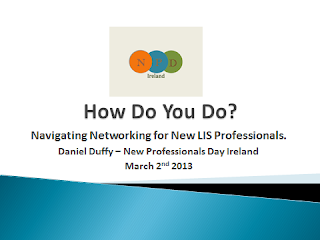 One aspect of our MLIS that had always proved to be a bit of a stumbling block for us all had been the networking at LIS events. Although we're all Irish and so naturally predisposed to talk to others, especially complete strangers... put us in a room with proper real live working information professionals and we can't articulate coherent sentences. So we decided to incorporate networking tips within the day itself. 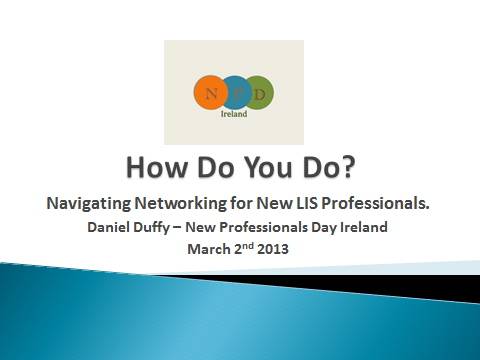 The whole ethos of our inaugural event was for the current new crop of students and early career info pros to develop their 'own professional network' so we incorporated a session on networking. The host for this was a no-brainer for us, Daniel Duffy is a great personal and professional networker and as one of our initial founding members we thought he would be ideal. Daniel is also responsible for the catchy titles to our all sessions and we knew he could provide our attendees with an engaging, fun and friendly segue into 'How do you do? Networking'. Our keynote speaker was pretty much decided from day one on the coach back to Stanstead, as students we had all been impressed by Jane Burns and her advocacy for the profession. She always made us feel inspired, energised and enthused about the profession that we were on the cusp of entering. So we wanted to incorporate all of those facets of Jane's personality and professional capability into our inaugural event. 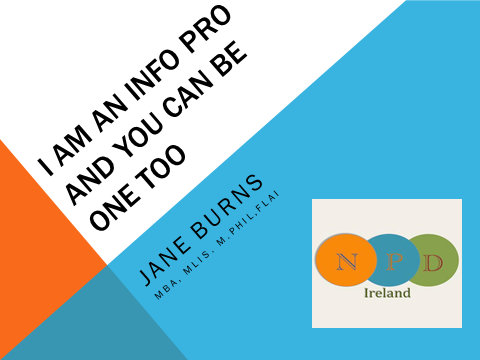 Approaching Jane was not hard, as she is so welcoming and encouraging to all new LIS professionals, as expected she was enthusiastic from the get-go and happy to be involved in our new initiative for New Professionals in Ireland. 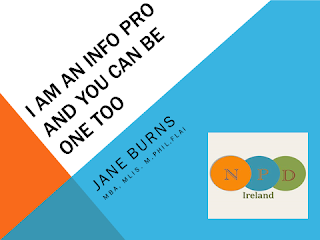 Our idea was that Jane's session would complete the day's activities with a presentation on her career and alerting the attendees on how they too could develop as an Information Professional. With all of our hosts and keynote on board we set about advertising on all of our available platforms - building up interest and involvement via Twitter, Facebook and our blog from December 2012 onwards. Encouraging engagement and interaction by focusing on updating across all platforms simultaneously. We also ensured that our blog was kept focused and provided insightful and hopefully encouraging blog posts on what was in store for those currently in the MLIS/MSc. We had great assistance in spreading our message to the current students at UCD SILS via the wonderful Claire Nolan, Claire McGuinness, Maria Souden and Norman Makoto Su. DBS MSc were contacted via David Hughes who is based at DBS and our net spread even further via Twitter incorporating AberILS and Ulster University ILS students. This really was becoming as originally intended a day for the whole island of Ireland. We had built up the day prior to launch and engaged our intended audience via flyers, business cards and online information. We then met the students in person - introducing ourselves and the ideas behind the day. The next step was to release the event for booking which went live at 9am on the 15th February 2013 and was fully booked with a reservation list before 5pm on the same day. 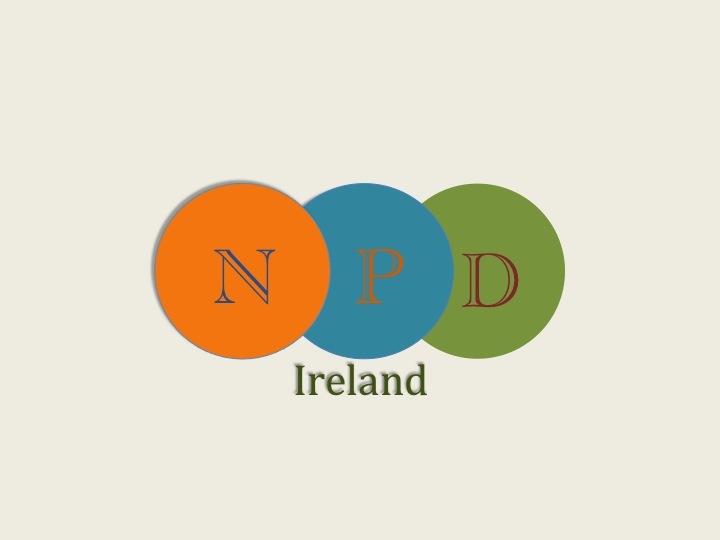 We've encountered and benefited from huge support across the information profession both here in Ireland and further afield with our colleagues in the UK and even those in New Zealand. New Professionals Days are happening across the globe - this is a growing community who are taking hold of their own cpd and evolving it to suit the changing dynamic of the LIS profession. We wanted to share with the community the process behind our first day - we've been asked time and again who are our sponsors and who are we affiliated to. We are our own sponsors, we have gained so much in our short time within the profession here in Ireland, so we are giving something back to our new colleagues. We hope that they have benefited from attending the day and that they have realised that the profession is a welcoming, encouraging and effective one in which we all can evolve and engage and develop. A huge vote of thanks to everyone who has been involved with the planning, preparation, organisation and operation on the day. Good luck with future ventures!